Hi, I currently run my 1.5 mile run in 10.32 mins. I would like to cut it down to 9 minutes in approx 3-4 weeks. The reason is I want to join the Army preferably the Paras. Thanks for your question about your 1.5 mile run. It's a tough goal to improve over a minute and a half in only 3-4 weeks. I would have preferred it if you had come to me 12 weeks in advance, not 3-4. Run four times a week over the next period. Make sure at least two of your runs are longer and slower. Add walking breaks if required. It would be great if you could cover 5-6 miles in those runs. 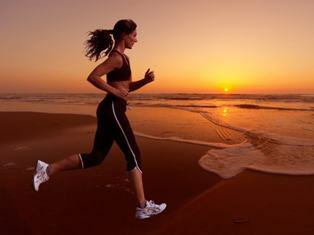 In addition you need some faster running, do two runs in which you add faster running. Check out the fartlek page to learn about starting to do speed training. Or look at the interval running page for ideas. E.g. do 1 minute fast, 3 minutes slow or something like that repeatedly. In addition, make sure to clean up your diet and do some cross-training on the non-running days. Basically, start living like an elite soldier now, not 4 weeks from now.